The Sons Of Liberty - Bradlee Dean: Will You Live For Your Country? 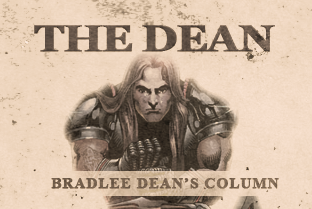 Home - The Dean-Bradlee Dean: Will You Live For Your Country? • Five signers were captured by the British as traitors and tortured before they died. • Two lost their sons in the Revolutionary Army; another had two sons captured. • John Hart was driven from his wife’s bedside when she was dying. Their 13 children fled for their lives. His fields were laid to waste. For more than a year he lived in forests and caves, returning home to find his wife dead and his children vanished. A few weeks later, he died from exhaustion and a broken heart. • Lewis Morris and Phillip Livingston suffered similar fates.